Thanks to the internet, now everyone has the opportunity to become a professional trader right at their doorstep. Today, you can trade some of the most notable and prominent assets right from the comfort of your home. There is no longer any need for you to go anywhere or make hundreds of calls to brokers. Yes, you still need a broker to start trading in any of the financial markets, but online brokers are now available, which has made things considerably easier. The best part is that there are a ton of brokers for you to choose from. Some of these brokers have been around for years and that’s how they convince people to sign up with them. Other brokers are relatively new, but they have actually fared better than the old ones. One of these brokers is 10-Capital. Similar to any other broker in the market, you can access a number of financial markets with 10-Capital and be able to trade a variety of assets. The tradeable assets that are at your disposal include commodities, indices, foreign currencies, stocks and cryptocurrencies. The most important thing that traders need to understand is that they can trade CFDs on 10-Capital. This refers to Contract for Difference as they are contracts for the assets and not physical assets themselves. Thus, you don’t own the asset as you are only buying and selling the contract. One appealing factor about 10-Capital is that it gives you access to a fast, secure and user-friendly trading platform. Moreover, it also helps new and inexperienced traders learn the art of trading before they put their money on the line. The first thing that you see in any broker is the number of assets they provide to you. The more assets you have at your disposal, the better it is because you don’t have to switch platforms if you want to diversify your investment portfolio. New traders also appreciate the variety because they can choose an asset they are comfortable in trading and later move onto other assets. 10-Capital gives you the option of trading indices from various financial markets around the world. You can trade NASDAQ, FTSE, DAX, ASX200, Dubai and many other popular indices. As far as stocks are concerned, the broker allows you to trade stocks from some renowned companies in the world including big tech firms such as Apple, Google, Microsoft and Facebook. You can also trade some valuable commodities on 10-Capital such as gold, silver, palladium, copper and platinum as well as perishable items like corn, wheat and coffee. Oil and natural gas can also be traded via the broker, which makes it one of the best in the market. Currencies are an important asset and widely traded and you can choose from major and minor currency pairs. Major currency pairs are not as risky and volatile whereas minor ones are on the exotic side and so carry some risk. 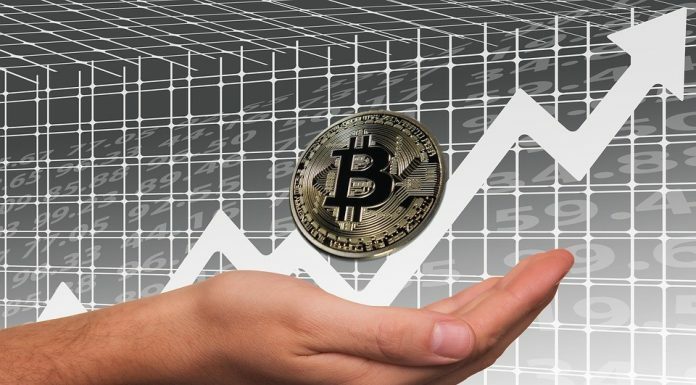 Cryptocurrencies can also be traded on 10-Capital as they are hottest asset these days and you can find some of the top options available with the broker. Opening an account is an important process when you wish to start your trading career with a broker. When you are opening an account, you expect certain things from a broker. Not all brokers offer the same luxuries and opportunities. Signing up with 10-Capital can gives you access to several account options. There are various account types for you to choose from and every account is designed for different types of traders. Whether you have just begun your trading career or have been doing it for a while, you will find an account type that meets you requirements. The most basic account type that you can open with the broker requires a deposit of 500 EUR. This amount is manageable for new brokers and once they deposit it, they will be granted unlimited access to basic and advanced charts offered by 10-Capital. These charts can be immensely useful because they can help you in identifying market trends. The other account types, which are Silver, Gold, Platinum, Diamond and Millioner, are designed for more trained traders who are aware of the ins and outs of trading. As you go from the basic account to higher, the minimum deposit requirement also increases. An excellent feature of 10-Capital is that the broker provides its clients with access to trading alerts, no matter what account type they select. But, when it comes to the education center, you get only part-access with the basic and Silver accounts. Nonetheless, even this partial access includes all the necessary information beginners need. Access to signals is also another perk offered by 10-Capital. These are indicators provided by the broker, which can be helpful in trading. They tell you when it is better to buy or sell a particular asset. The basic account only provides you with a few signals during the day whereas unlimited signals can be obtained with the most advanced and expensive account type. There is also a junior account manager to help with trading or any other aspect related to the account. If you move to an advanced account type, you will be able to use a senior account manager as well. Trading alerts can also be sent to you via SMS or WhatsApp, but this is only available for senior account types. 10-Capital has also made leverage available to the brokers and it doesn’t matter what account type you select. The trading platform that the broker has to offer can create a powerful impression on the traders. As a matter of fact, it is the make-it or break-it factor because if you don’t have a good experience with the trading platform, you are more likely to switch brokers. 10-Capital has designed its trading platform with all traders in mind so you can be rest assured that you won’t have to spend months trying to learn how to use its trading platform. It is a user-friendly platform that works smoothly and without any hiccups so you don’t have to experience any delays when executing your trades. Technology has made things incredibly easy and convenient for the traders. It doesn’t matter if they are trading stocks or their favorite currency pairs, there is no need to switch platforms when you change assets. In addition, 10-Capital boasts all charts, indicators and other tools that can help you in trading. The broker is also aware that the needs and requirements of the traders have changed in the past few years and they no longer just use trading platforms on desktop computers. Today, traders want platforms they can take on the go and so 10-Capital has made itself available on smartphones, laptops and tablets. There is also a web-based version of its trading platform and this is for people who do not want to download anything on their devices. The only requirement for this kind of platform is a device and internet connection. Traders can access this platform via their browser and can also reach it from any device and from anywhere in the world. Security is of the utmost importance nowadays with the constant rise in cybersecurity threats. When you are signing up with a broker, you are sharing your personal information and also handing over your funds. Information includes personal details about yourself as well as your banking details. 10-Capital doesn’t want to put its customers under constant stress so it has used 256-bit encryption for keeping your information safe and ensuring that no third party can get access to it without proper authorization. In the case of your funds, there is no need to worry because 10-Capital is a regulated broker and it follows the highest standards in the industry for keeping your information safe. They have Anti-Money Laundering (AML) and Know your Customer (KYC) policies in place and funds are kept segregated and secure. 10-Capital has taken care of your deposit and withdrawal needs in every way possible. There is the debit and credit card option, which is the fastest method available for funding and withdrawals. Bank wire transfers can also be used if you want the safest option and electronic payment methods are ideal for adding funds instantly. You have to withdraw from the same methods that you used for depositing and the timeframes for these to be processed vary. 10-Capital has distinguished itself from other brokers by offering bonuses and incentives to its customers. Loyalty points and bonuses are granted when you sign up and there is also a referral program in place that helps you in earning money when you refer anyone to the broker. With 10-Capital you get access to comprehensive education, commendable customer support, the highest level of security, lots of bonuses and a variety of assets that can make your trading journey a smooth, hassle-free and profitable experience.